With the beginning of the summer season, each of us is puzzled by the choice of a place for recreation. 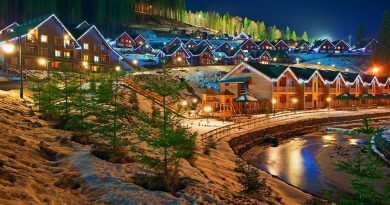 As a rule, most prefer to spend their long-awaited vacation by the sea or the lake, luxuriate on a snow-white beach, enjoy nature, silence and get healthier. Naturally, many people go to other countries without even knowing that in our country there are so many beautiful places where you can perfectly spend your vacation. 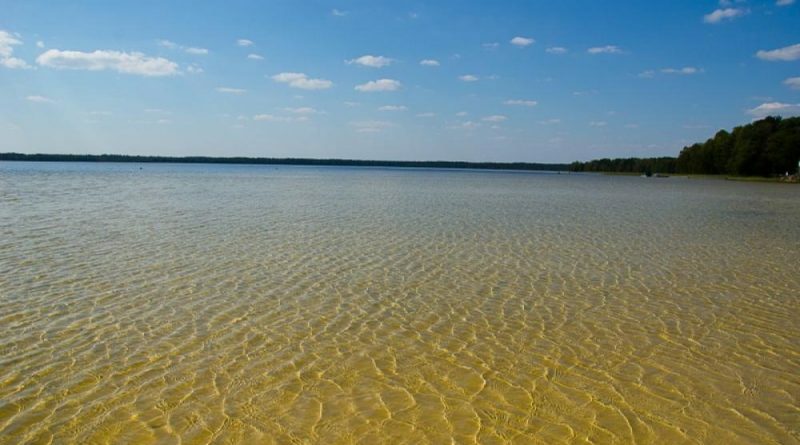 Among the numerous water resources of Ukraine I especially want to note the “White Lake”, which is located in the Rivne region and is in great demand among both Ukrainian and foreign tourists. And this is not surprising, because laboratory tests have shown that the composition of water includes phosphorus, salts, silver particles, calcium, glycerin, and also magnesium. Thanks to such natural components, water has a beneficial effect on human health, helps to cure many skin diseases, tightens burns, promotes rapid healing of wounds, stabilizes pressure, relieves fatigue. 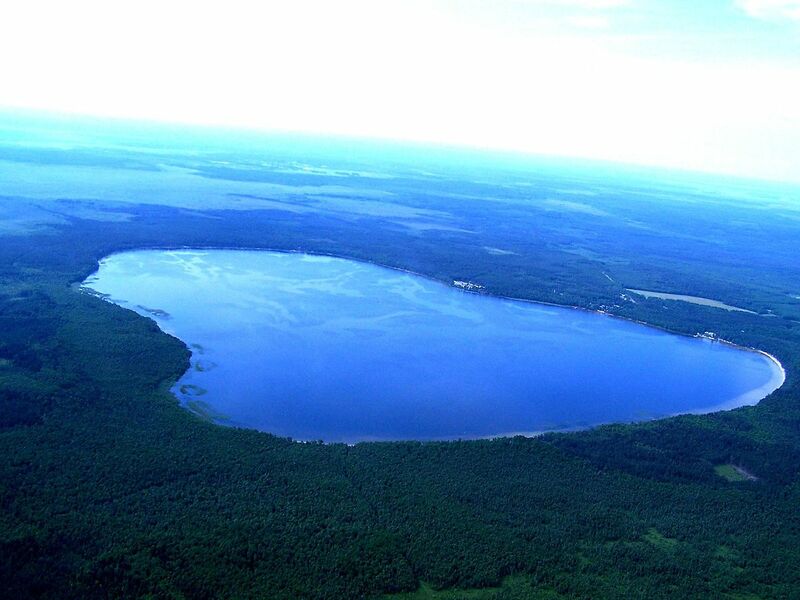 It should be noted that the White Lake has karst origin, it feeds exclusively on groundwater. 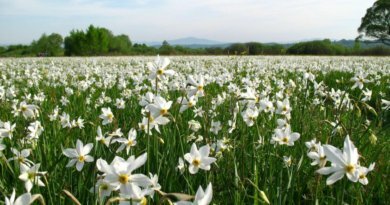 The total area occupies 453 hectares, the length reaches 3 km, the width also has almost 3 km, the maximum depth is 34 meters. The coast is quite low, which allows you to sit comfortably on a sandy beach and soak up the sun. 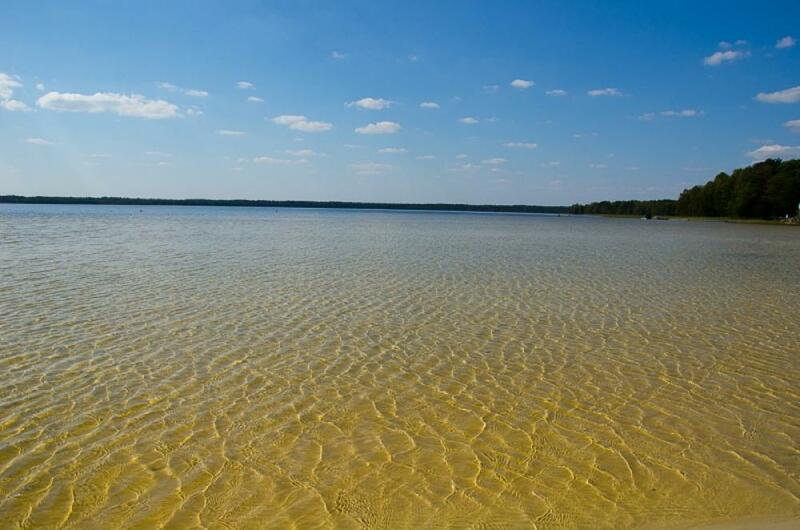 The water of the lake is soft and transparent, so you can see the bottom, without any adaptation, up to 3 meters depth. It should be noted that the lake does not freeze in winter – its temperature regime balances at 8-9 degrees of heat. The territory along the perimeter of the lake is quite clean, there are paths, garbage bins. The beach is as neat, there is no debris or glass in the sand. For comfort, you can rent sunbeds, prices are democratic. 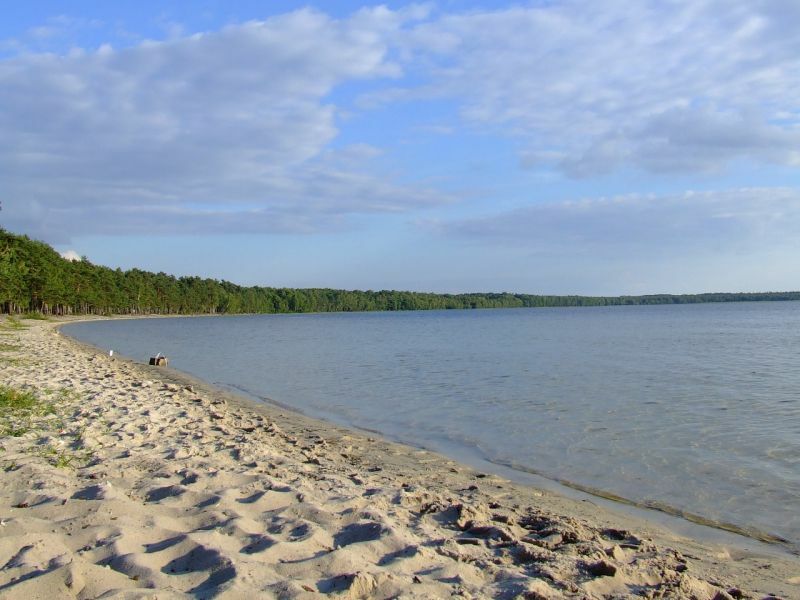 The lake is equipped with several areas, where everyone can play volleyball, football, there is an opportunity to rent a boat, catamaran or a jet ski. 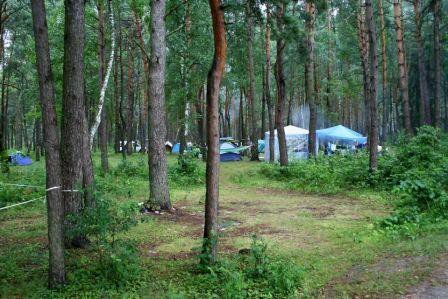 Many tourists prefer to rest in tents, so they are located in the forest or on the shore of the lake. It should be noted that for each tent you need to pay a fee of 20 UAH. The price is not high, but as for me the conditions must comply with the accepted norms for camping. Administration takes payment, that’s only for the conditions for holidaymakers do not worry. There are no toilets on the territory, that’s the reality. I would like to hope that the situation for the summer season of 2018 will change for the better. But despite all the inconveniences, it is very beautiful here. 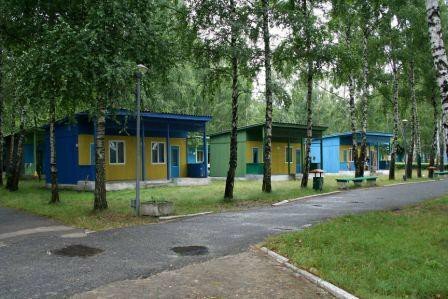 It would not be bad for the administration of White Lake camping, it will be a bit learned and take an example from its colleagues who have beautifully arranged a camping town for tourists at Lake Svityaz, where everything is necessary, clarification, toilets, security, altanka, cafe, etc. Who especially does not like to be in a tent can stop at the health complex, which rents small houses near the lake. 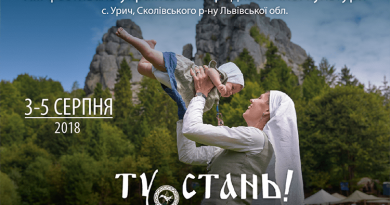 The price is not high 100-200 UAH per person. The complex has a small dining room. Prepare well, the prices are democratic. Important! I recommend to take a bed, when renting a house, you will certainly be given it, but he does not look very kind to it. So take this advice to your note. There are reliable data that water from the lake was regularly delivered to representatives of the Polish gentry for rejuvenating and therapeutic procedures. For the convenience and speedy delivery of a miracle of water, even a narrow gauge railway was created, which is also the longest in the whole of Europe. Many people believe that the water from the White Lake is the same living water, which is often mentioned in fairy tales and legends. Even during the Second World War, it was used for the treatment of wounds by local partisans. 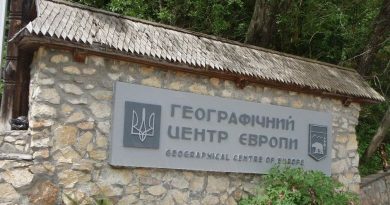 Adress: Volodimirytsky district, Rivne region, Rudka village.